We are healthcare design specialists. Since our founding in 1982, healthcare architecture has always been the focus of our practice. Our firm has gained a reputation for developing solutions that focus on the needs of the patient populations our clients serve. This is best demonstrated by the fact that our firm is currently working on wide range of projects at more than twenty area hospitals and health systems. Through this experience, our staff has cultivated an incredible knowledge base and thorough understanding of the requirements, functionality, and operational flow across all levels of the Continuum of Care. 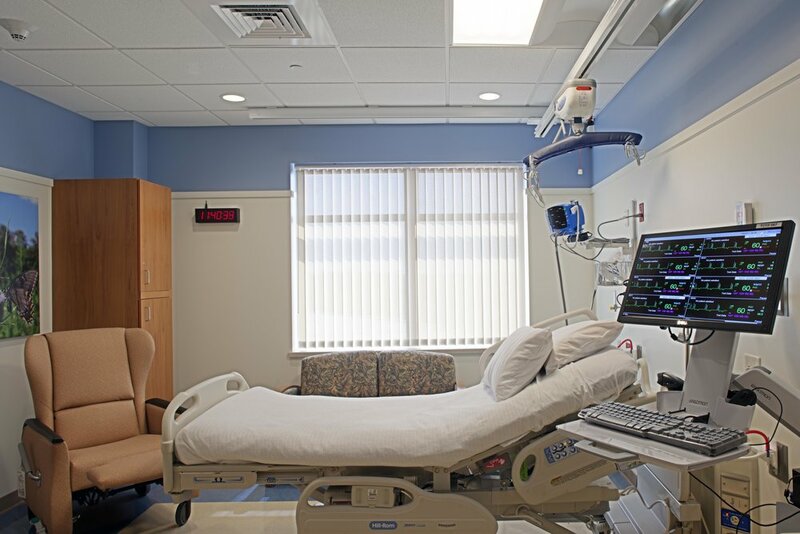 At CRGA, we understand the differences among various healthcare projects and the unique attention and planning each facet of healthcare requires. As healthcare designers, we are mindful that individuals are often experiencing life-changing events in the facilities we design – some trying, some joyous – so it is vital that each project is designed with the same care, precision, and innovation that patients and families expect of their own treatment. Just like the technologies and practices contained within the spaces, healthcare design is constantly evolving. CRGA stays on top of these new developments to ensure the most efficient, cost-effective, and innovative project solutions for our clients. CRGA has stayed on top of these opportunities by pioneering alternative design concepts that minimize patient wait time while increasing staff efficiency. Our lean approach to design incorporates the latest VR (virtual reality) and 3D printing/imaging technologies to literally test our solutions before construction. This approach has led to a vast portfolio encompassing all facets of the healthcare industry, and our knowledge base continues to grow along with our portfolio. CRGA has no shortage of passion for healthcare design among our staff. Marcus received his Bachelor of Architecture from Virginia Polytechnic Institute and State University. Juan received a degree in architecture from Universidad de los Andes in Bogota, Colombia and the Universidad Veritas in San Jose, Costa Rica. John received his Bachelor of Science in Interior Design from the University of Maryland. David received his Bachelor of Science in Architecture from the University of Maryland. Jennifer received her Bachelor of Science in Interior Design from the Savannah College of Art and Design.